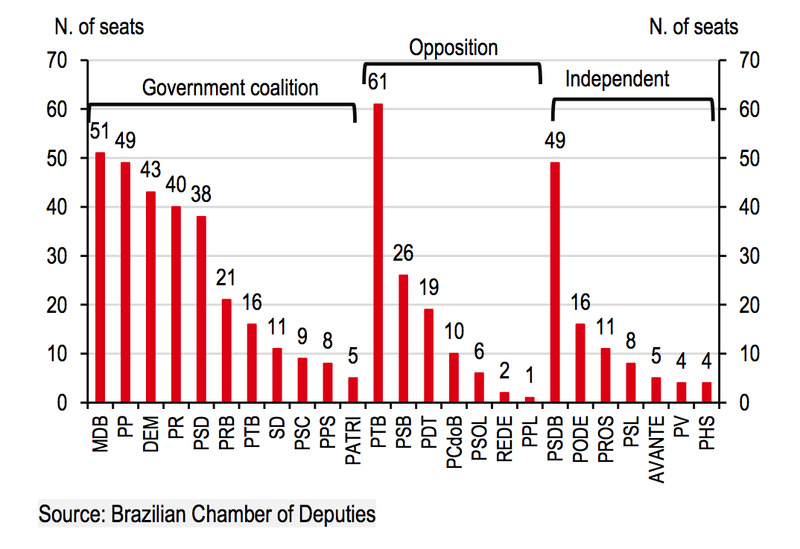 In one of its most unpredictable and divisive elections since reclaiming democracy three decades ago, Brazil will vote Sunday for its next president and hundreds of lawmakers. Here’s what that could mean for Latin America’s largest economy. 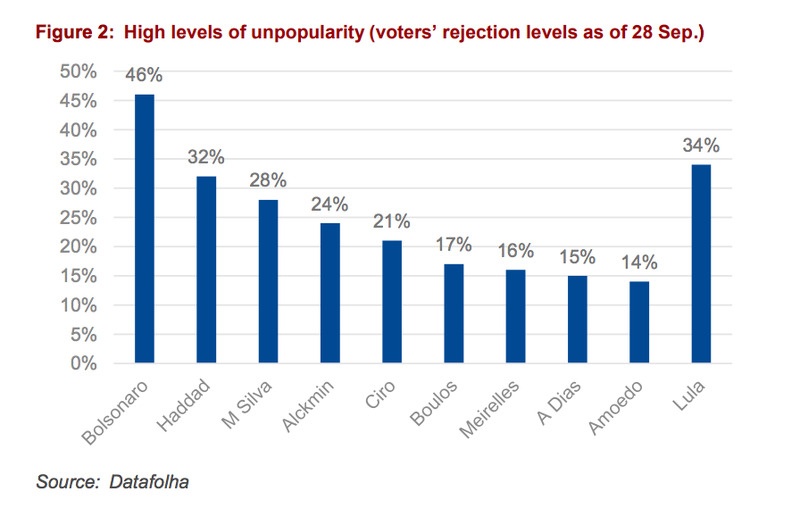 Bolsonaro has maintained a lead for months, but it’s far from certain how he will fare with a large pool of undecided voters or in a runoff. Having even been called Brazil’s Donald Trump, the outsider has a history of expressing autocratic, racist, and sexist views. He’s currently recovering after being stabbed at a rally in September. 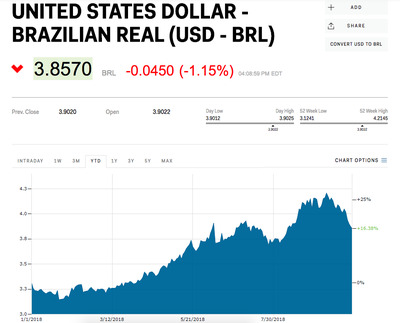 A firebrand who’s capitalised on public anger about the still-ailing economy, Bolsonaro has said he would consider privatizing all firms in the country. 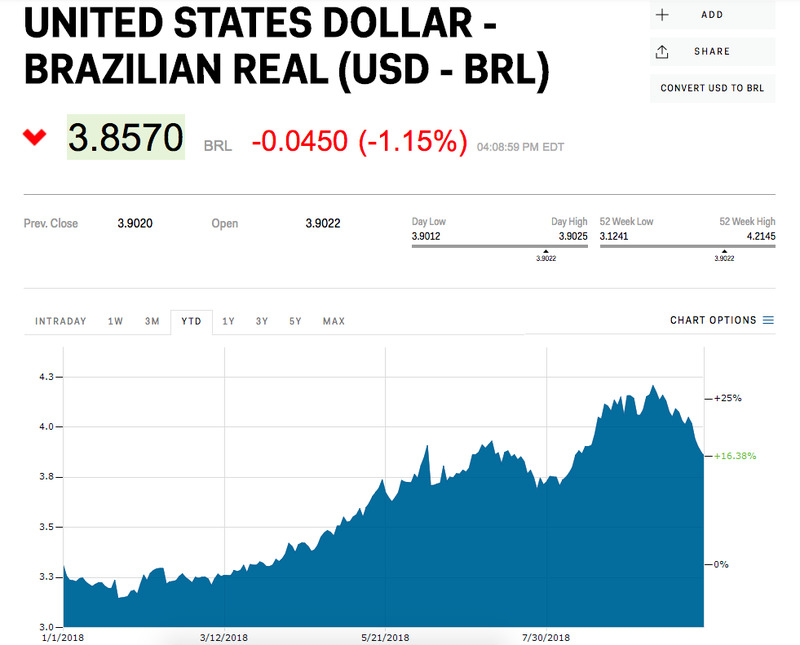 Analysts predict a Bolsonaro win might initially lead to a stronger Brazilian real, a rally in longterm domestic bonds, and wider external debt spreads. One thing the two have in common: they’re running against the backdrop of a highly divisive political scene. Rafael Elias, an analyst at Exotix Capital, said he doubts either will be good news for markets in the long-run. The incoming administration will likely face an uphill battle working with the country’s two legislative bodies, which are split among dozens of political groups. 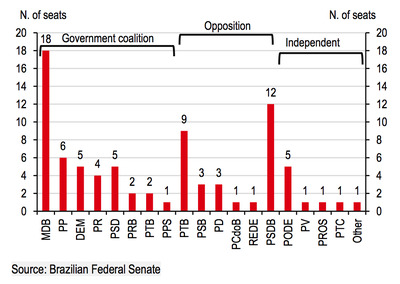 No party currently has more than 12% of control in the lower house of Congress, which has all 513 seats on the ballot. 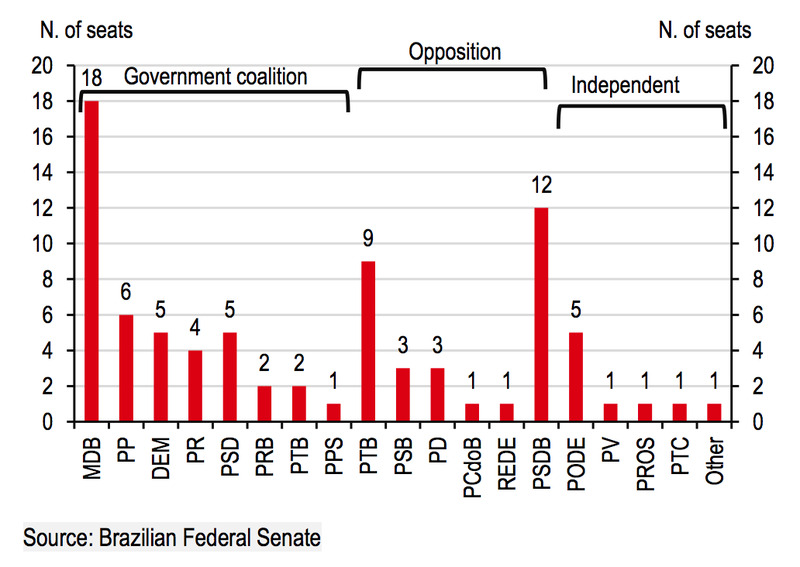 And in the Senate, where about two-thirds of seats are up for grabs, just 19 of 81 members are part of the ruling Brazilian Democratic Movement. Bolsonaro, a fringe figure who has praised Brazil’s military dictatorship, may have an especially difficult time working with lawmakers in an effective way. 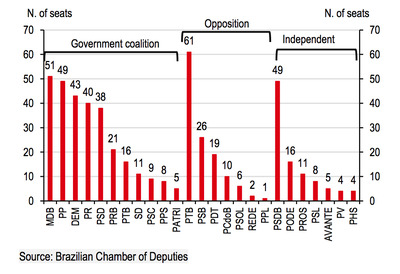 Analysts say Haddad appears more equipped to forge alliances and get things done – although this isn’t exactly comforting for investors. And analysts say a truckers strike that paralysed the country earlier this year added to fiscal concerns. Sending stock markets to yearly lows, the 10 days of turmoil led the government to declare a state of emergency and to force out the chief executive of its oil company.